Microarrays play an increasingly significant role in drug discovery. The commercial landscape has changed dramatically over the past few years and researchers have made great advancements with regard to construction and use. 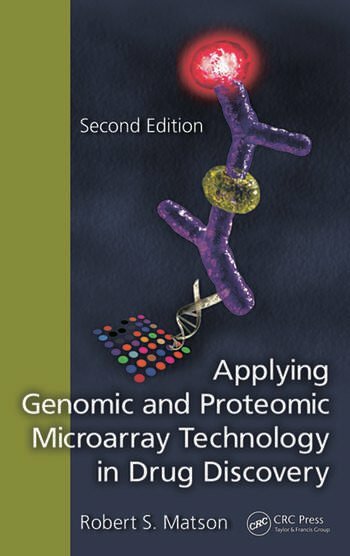 Now in its second edition, Applying Genomic and Proteomic Microarray Technology in Drug Discovery highlights, describes, and evaluates current scientific research using microarray technology in genomic and proteomic applications. Unique to this edition is a new chapter on multiplex assays that examines the development and applications of arrays across diverse platforms. 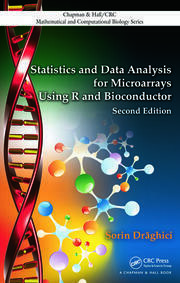 It discusses applications for qPCR, multiplex lateral flow, and multiplex bead assays. It also presents platform-to-platform comparisons. Microarrays remain an invaluable tool for omics-based research not only in drug discovery, but in the life sciences, in clinical research, and for diagnostic applications worldwide. This volume presents the current state of the art on the utility of this technology to solve a host of important biological problems. Robert S. Matson is president and co-founder of QuantiScientifics, LLC. The company is involved in the commercialization of multiplexed assays for life science, clinical research, and in vitro diagnostics. Previously, Matson was involved in the research and development of microarray technologies, detection chemistries, as well as point-of-care devices for more than 17 years while at Beckman Coulter, Inc. He participated in the National Institute of Standards and Technology’s (NIST) Advanced Technology Program sponsored Genosensor Consortium and collaborated with Sir Edwin Southern on the development of an in situ oligonucleotide array synthesis platform for the corporation. Other work included development of the A2 MicroArray System, a microplate-based array platform for multiplexed micro-ELISA, which QuantiScientifics recently licensed for commercialization.